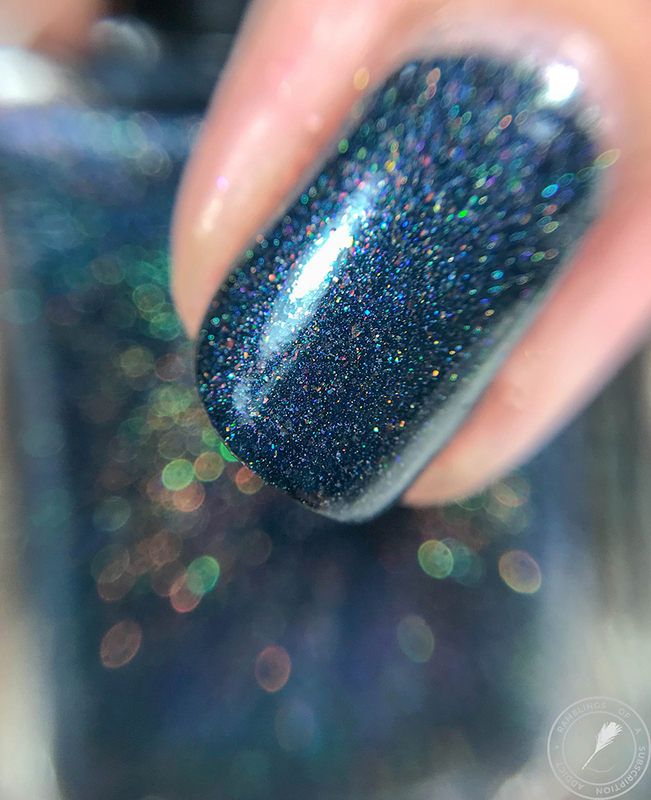 This is for the July Polish Pickup Rewind. 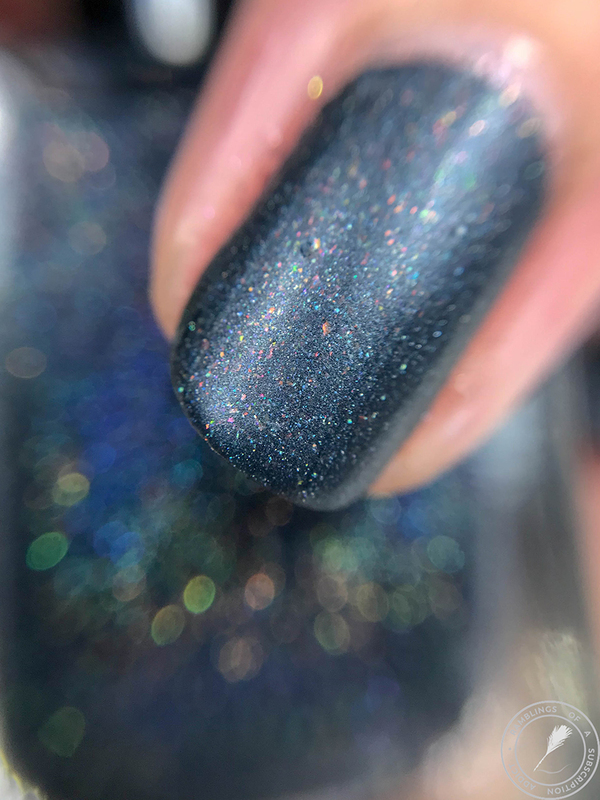 Brands are hosting one of their polishes on their own websites so make sure to check all of your favorite brands to see if something was brought back that you missed the first time! 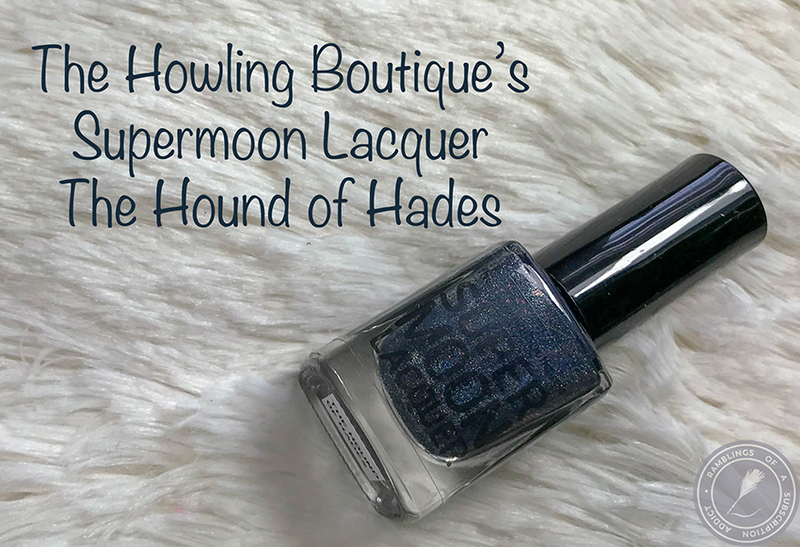 THB brought back The Hound of Hades from October 2017 which sold out in minutes due to limited stock so it's back here for $12.50 (get free US shipping for this polish with code ILOVEPPU) now until the 9th and then again during her Shenanigans Week (which is gonna get real expensive real quick, my list is absurd). Let's just get to the polish! 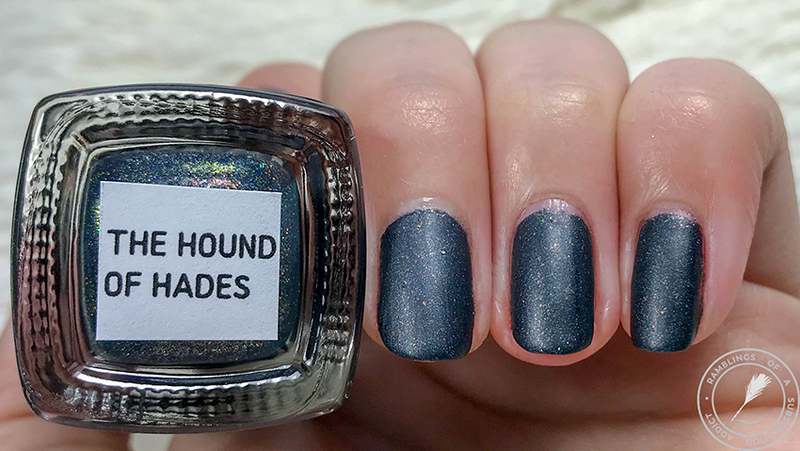 The Hound of Hades is a blackened navy blue scattered holographic with blue/purple/copper and red/orange/green (a more sparkley 'Unicorn Pee' dupe) chameleon pigment, red-to-gold color shifting pigment, blue and turquoise shimmer, copper and gold sparks, iridescent red-to-green color shifting microglitter, and holographic copper and silver microglitter. Y'all, if you didn't read the description at the beginning of this post, you need to. 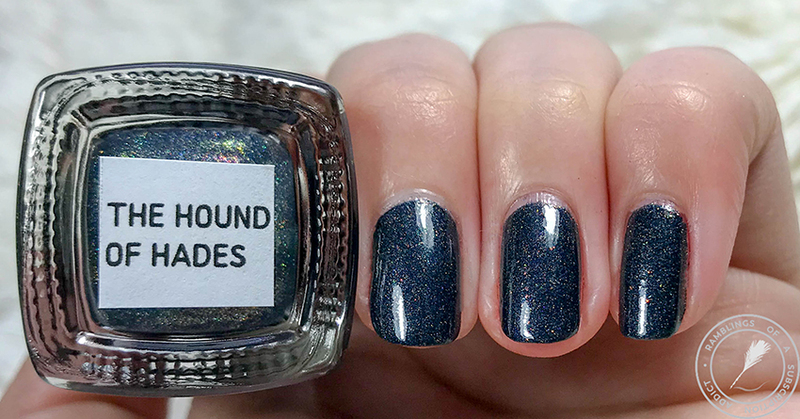 There's a ton of stuff going on in this polish and you'll definitely want to grab it. 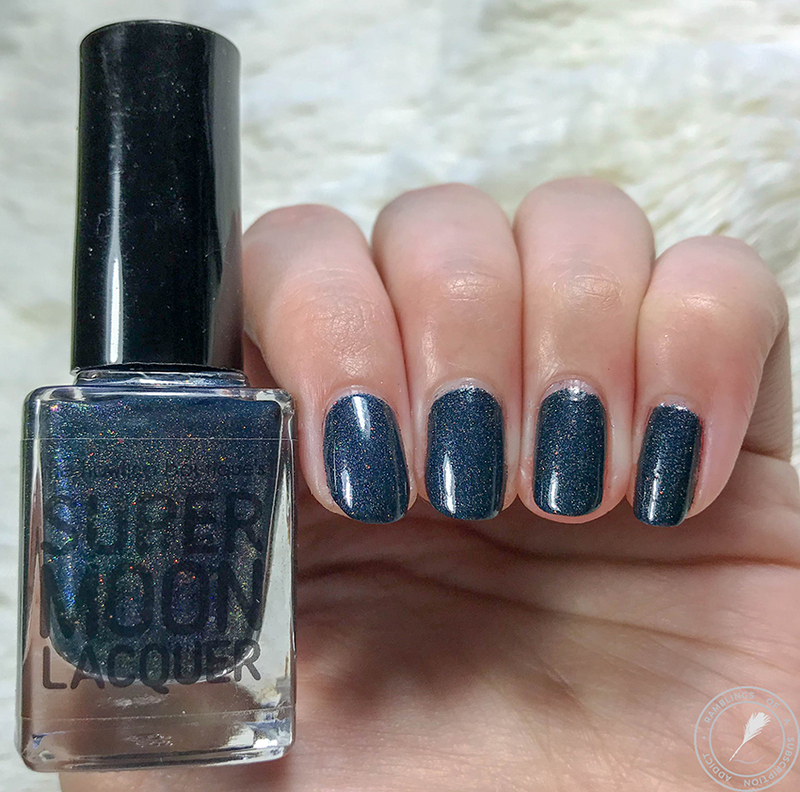 The formula is so great too, it's super smooth in application and is just so pretty. 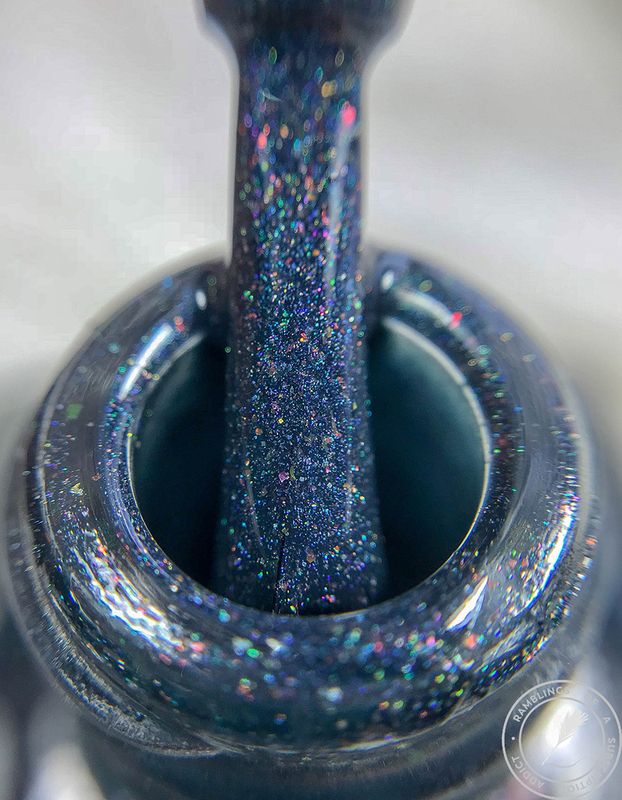 Check out how the blackened bits look in this shot! 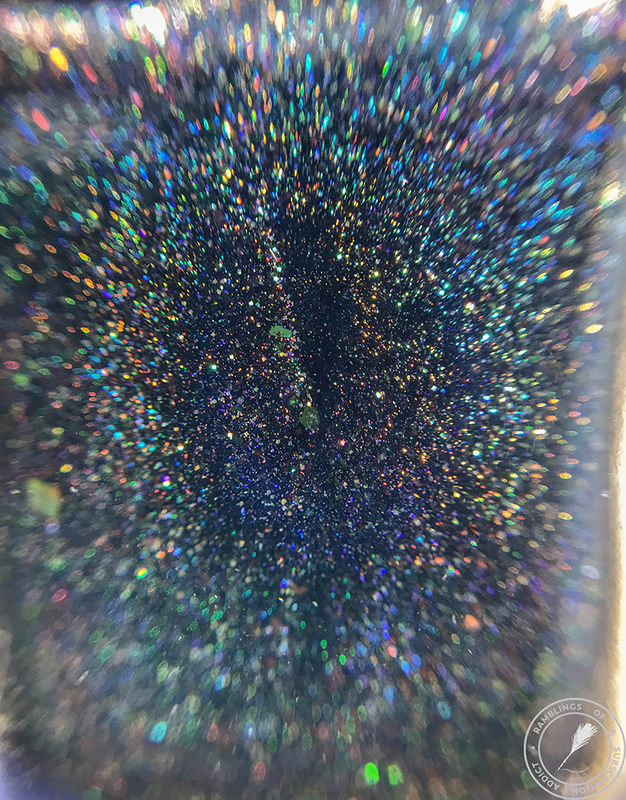 It was actually pretty hard to get the sparkly bits to focus because there's so much of it! Something else positive, this didn't have that weird smell that some blues have! 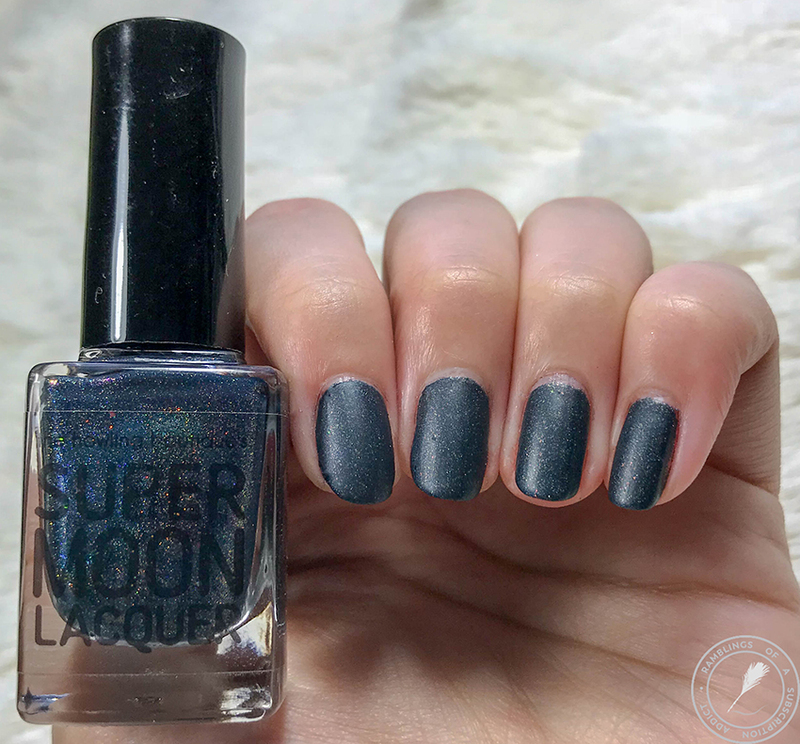 Matte, the fun little extras come out! I especially like the red bits that really pop here. Coats for Opacity: Two thin coats, could have been one thicker coat.